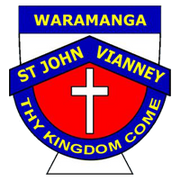 Sacrament information, enrolment forms and relevant dates will be available on the St Jude & St John Vianneys Parish website. Children in Year 3 and above who are baptised Catholic are invited to enrol. Enrolment is via the Qkr! app, further information is found on the Parish website. Children in Year 4 and above, who are baptised Catholic and have received the Sacrament of Reconciliation, are invited to enrol. Enrolment is via the Qkr! app, further information is found on the Parish website. Children in Year 6 and above who have received the Sacraments of First Reconciliation and Frist Communion are invited to enrol. Enrolment is via the Qkr! app, further information is found on the Parish website.